If you’re neither a traditionalist or modernist when it comes to home design, then a transitional kitchen is for you. Bridging the gap between old and new styles, it can constitute any designs attempting to combine traditional and modern elements. A thoughtfully designed transitional kitchen features wood, natural stone, concrete, glass and stainless steel all at once. It’s a delicate balancing act, but it’s attainable with professional guidance. When designing a traditional-meets-modern kitchen space, play it safe with a neutral palette. Clean and monochromatic hues are the cornerstone of this style, allowing it to remain fashionable over the passage of time. Kitchen and bath remodeling authorities won’t bar the use of bold colors, but it’s imperative to keep them to a minimum. Transitional rooms use rich textural details to compensate for their lack of colorful elements. They generate a visual spark from tactile surfaces, keeping them from becoming boring. The fascinating interplay between sleek and rugged surfaces lends them interest. Streamlined furniture is another non-negotiable element of transitional kitchens. Experienced interior and exterior remodeling specialists will advise against having intricate trim and hardware. Instead, highlight the warmth of lumber, but observe minimalism to keep it from being too old-world and too contemporary. Moreover, use simplistic accents to bestow a little character to your space without complicating the architecture. You can still accessorize for as long as you forgo fussy patterns. 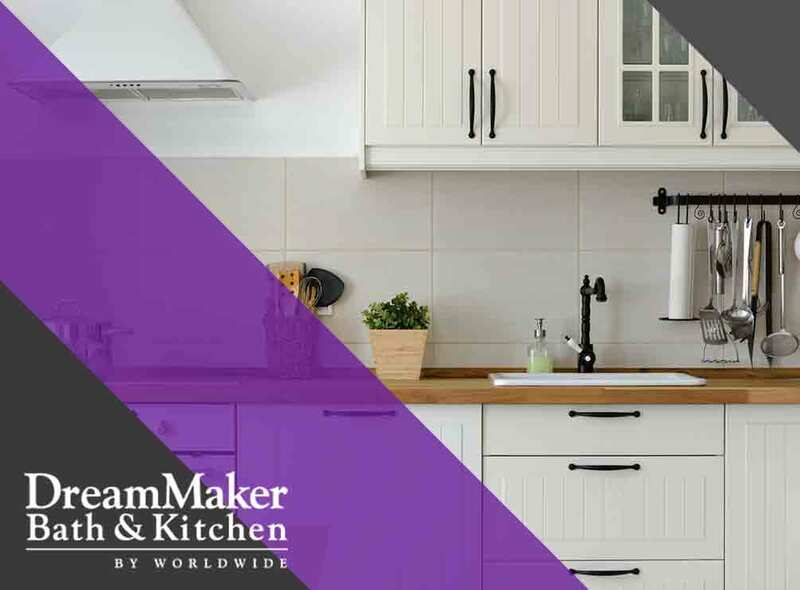 Allow DreamMaker Bath and Kitchen to help you plan your transitional kitchen renovation every step of the way. We are a faith-based organization that aims to achieve excellence through integrity and client-centric customer service. Call us at (616) 200-7495 to get your project started and get a free estimate in Rockford, MI, or any neighboring area.